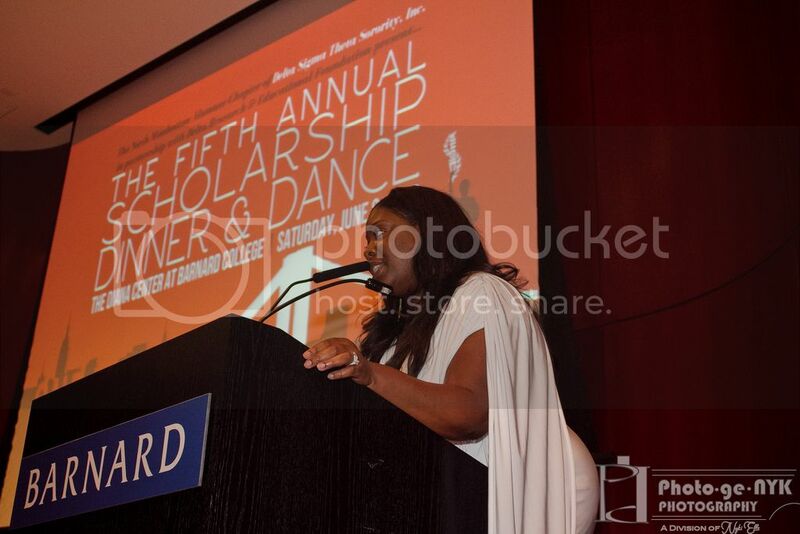 MANHATTAN, NY – On Saturday, June 8, 2013, the North Manhattan Alumnae Chapter of Delta Sigma Theta Sorority, Inc. (NMAC DST) hosted its 5th Annual Scholarship Dinner and Dance at the Diana Center on the Campus of Barnard College. 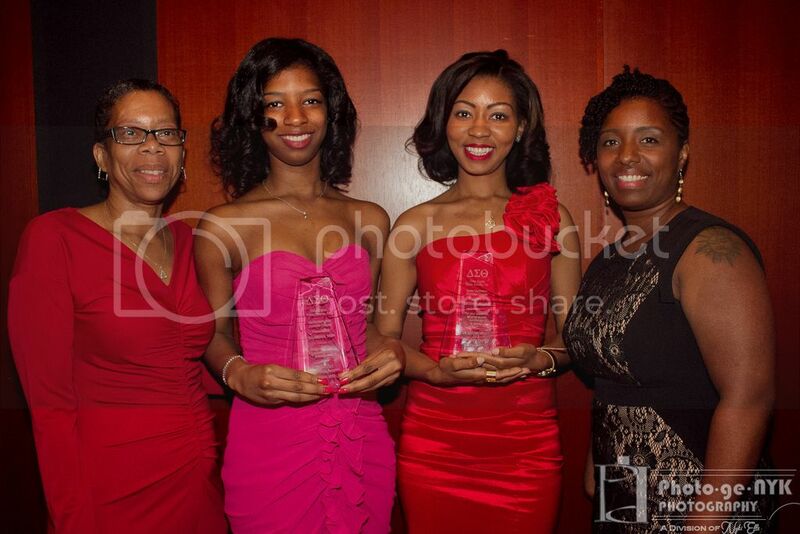 The sorority recognized dynamic leaders who serve the New York metropolitan area and presented the 2013 scholarship recipients with their awards. 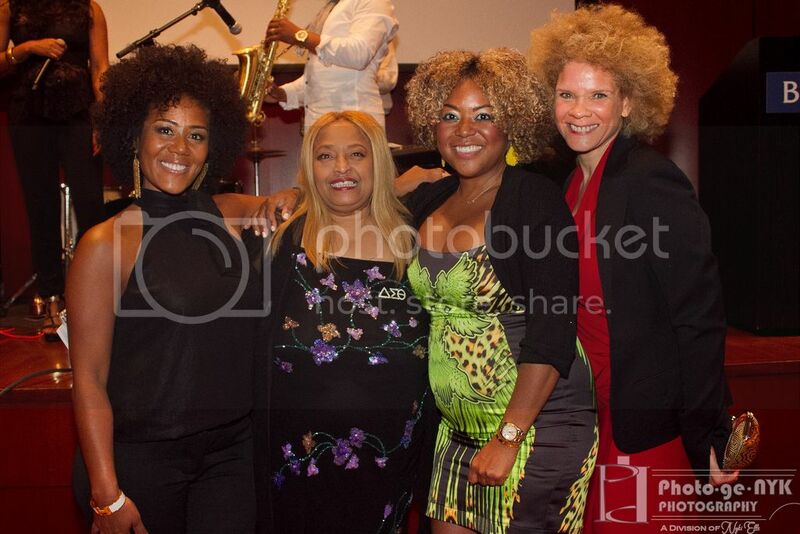 The honorees were selected for their work in areas that align with NMAC DST’s five-point programmatic thrust: Economic Development, Educational Development, International Awareness & Involvement, Physical & Mental Health and Political Awareness & Involvement. 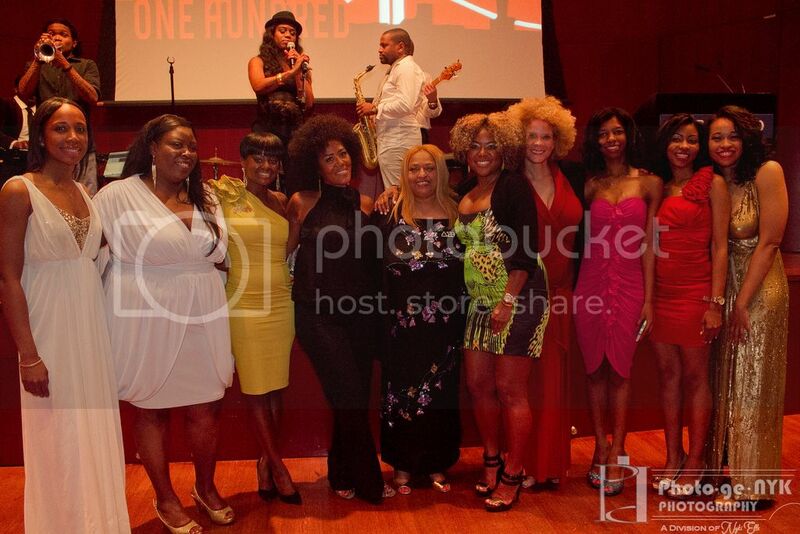 The 2013 honorees include Titi & Miko Branch, Co-Founders, Miss Jessie’s; Dr. Olajide Williams, Associate Professor & Chief of Staff – Clinical Neurology, Columbia University Hospital; Sponsors for Educational Opportunity; Congressman Hakeem Jeffries; Image Activist Michaela Angela Davis; and Torch Award for Outstanding Leadership Recipient Florence Anthony, Founder – Black Noir Magazine. NMAC DST recognizes that promoting the goals and aspirations of students pursuing higher education with the intention of using their knowledge to serve their community has never been more important. Most importantly, the organization views their scholarship awards as an investment in cultivating the next generation of community leaders. Learn more by visiting the website at nmacdst.org. And we would like to wish a happy Centennial Commemoration to the Deltas as they open their 51st National Convention this week in Washington, DC! Awesome service going on in the NMAC community. Wow! What a great movement! I have to say, I'm proud of you. Bravo!